CARAVAN Back On The Road? PYE HASTINGS has revealed that Caravan are planning a concert in London in January 2011 as part of a series of intimate concerts called Legends at a recording studio in front of only approx 120 fans The show will be filmed for ITV and a DVD..
“we had our first rehearsal at the beginning of August which under the circumstances went very well”. Pye also stated that “the enthusiasm from the band was infectiousand I had forgotten how much I had really missed playing with them.” A longer rehearsal is booked for October when Geoffrey Richardson is back from Touring with Murray Head.. The outline of the set is already agreed and will feature classic Caravan tunes together with some new material. If all goes well Pye doesn’t rule out the possibility of a short tour to celebrate the 40th Anniversary Of their classic album In The Land Of Grey and Pink. 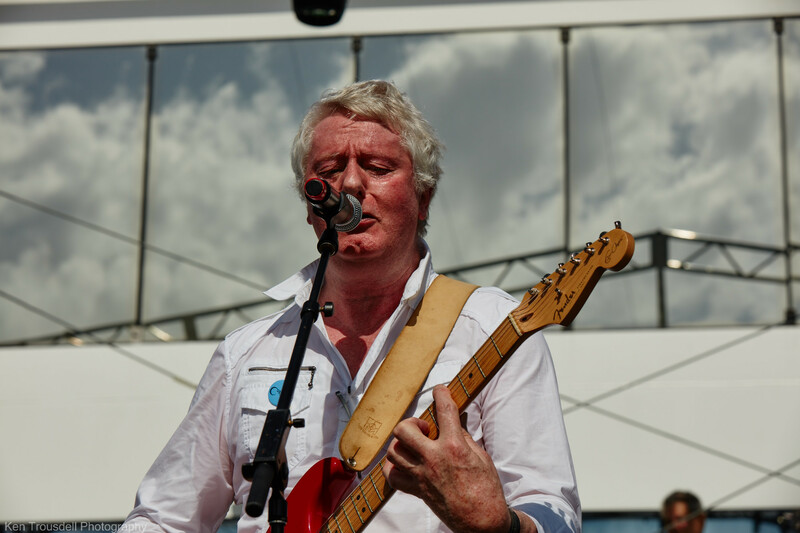 The current lineup of Caravan is Pye Hastings Richard Coughlan Geoffrey Richardson Jan Schelhaas and Jim Leverton . Doug Boyle is unavailable owing to other commitments . Please register on this website for details of Gigs and Tickets etc . Please SPREAD the word! Apologies for the lack of info on the website it is still very much a work in progress. any articles photos audio /video content is gratefully received! This entry was posted in Gigs and tagged 2011, 40th Anniversary, London on September 1, 2010 by caravan. Great news!!!!! Hope to hear you guys soon!!! Fantastic news! And if Jim can’t available – I’ll be happy to stand in at short notice if necessary. This is such fantatic news!!! We will be keeping an eye on future concerts on “the continent”!! MAYBE – one day we’ll see you here in western Canada!! To see Caravan back on the road would be a treat.I was lucky enough to see you at The Stables last time out in’05 Great gig as Geoff replied to me “so intimate you could hear someone fart onstage at the back of the auditorium”. From the looks of http://www.metropolis-group.co.uk/events.php?p=1 the ITV Legends gigs are £175 for 75 minutes. Hope they do concessions! Best news I have had this year! The photo in my avatar was taken at the Kings Head when the band celebrated recieving the gold disc for Grey and Pink – be very disappointed if I am not one of the 120 celebrating its 40th birthday! Also I forgot to say that I love the new site! The layout’s brilliant and the members’ facilities are fantastic; it really hits home now that I’m not the only Caravan fan in the world. 🙂 Well done guys! Looking forward to seeing you on the road! And hopefully on the continent too. The Dutch and the German fans cannot wait to see you I guess. Hope you can manage to play in Holland once again. So Happy with this new web site. Would love to get one of those tickets. Hope you can do a gig in Dublin again some time soon. Great news – looking out for Gig Guide and ticket details…………….. Brilliant news I just hope that I can get to see one of my favourite bands of all time perform live one more time. Incidentally have you noticed how similar most of us Caravan fans look from our Avatars? Kind of grey expressionless and sticky up hair? Would love to go to this concert!!! Been waiting to see Caravan again since the last time I saw them in 2003. Fingers crossed for a tour as well. all the fans around yhe world wants to see them. fantastic news alf (well done on the new site) you can count on me to help promote any possible gigs next year. The Komedia in Brighton or the Ropetackle in Shoreham both excellent venues hope to see you there soon. I’m a french fan !!! I’ve seen you 3 or 4 times in the south of France during the seventies !! My hope ?? To see and hear you again in my country ?? Dream or reality ?? I don’t know . But don’t be busy and do it please in the coming years !! Time is passing by ……. Please make sure you come to Glasgow. The 02 abc is a brilliant venue also the ferry where i saw you play a few years ago. You have many many fans in Scotland. Am I alone in wishing for the master of the Hammond yes David Sinclair as he was and still is the very backbone of the Caravan sound. Unfortunately Jan as good as he is remains a poor substitute no offence friend ! We were all set to go to Holland for a 60th birthday gig a few years ago.. I wonder if that’s back on….? I hope they tour next year…its long overdue…. Great news for the future Caravan for all your loyal fans. My first gig was at the old Marlowe theatre in St Margarets street Canterbury. It would be nice to see you at the new Marlowe theatre in the future which I am sure you would fill or maybe the Gulbenkian. My first Caravan gig was at the old Marlowe theatre in St Margarets street Canterbury before it moved to the Odean cinema. Have most of the albums on vinyl the first being “In The Land of Grey and Pink” and from then on I was hooked. This is all great news for your many loyal supporters. Hope that you are able to arrange something in Canterbury such as the Gulbenkian or even the new Marlowe theatre when it opens which I am sure you will fill.